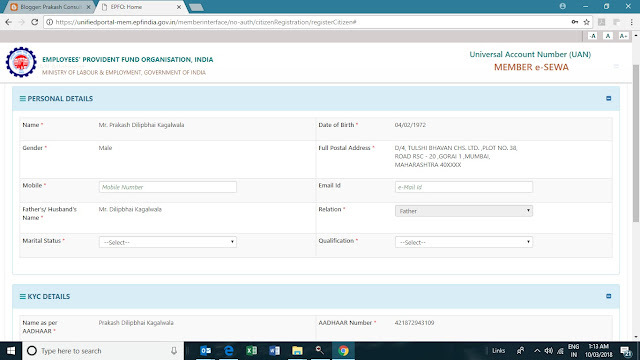 Once the Employee Join the organisation it is the duty of the Employer to fill in New Form No 11 Download 👉 New Form 11 to avail the basic details & information of the Employee, also equally it is the duty of the Employee to declared his/her UAN Number if any. 3. 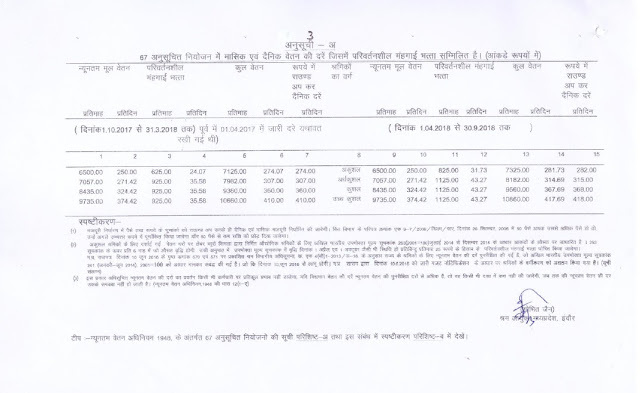 Bank Details along with IFSC Code. 1.As indicated earlier, withdrawal of PF Claims can be done only by those members who are not employed. 2.Please check your Bank A/c No and IFSC from your KYC menu, update correct Bank details and other KYCs (KYC Option under Manage Menu) before initiating online withdrawal. 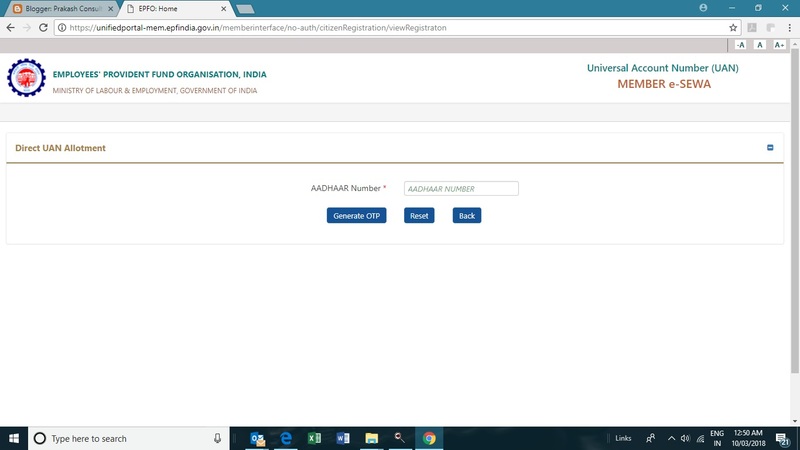 3.You will be receiving the OTPs to your registered mobile linked with your Aadhaar and PF. 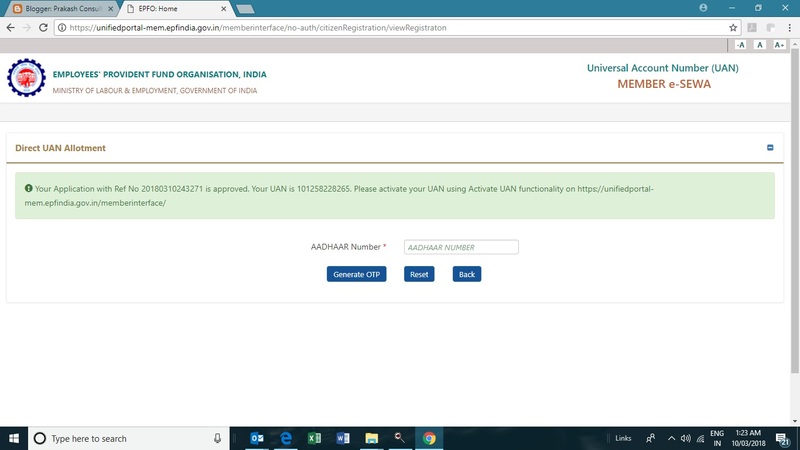 Hence, get your Aadhaar and PF updated with your current Mobile No. 4.In certain browsers, the claims form 19 & 10C will be indicated separately and combined in some browsers, you have to select based on the option available. 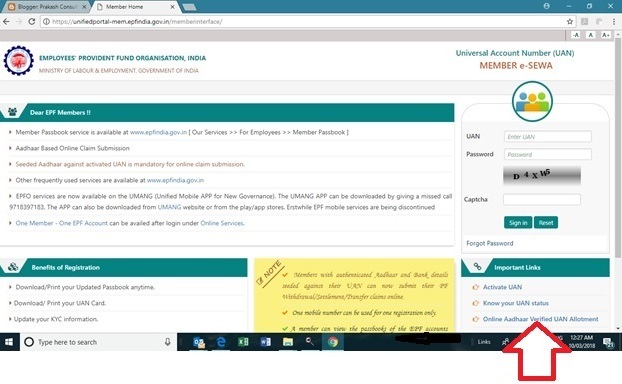 5.Portal or PAN/ Aadhaar servers may be down at the time of verification or during the claim process. 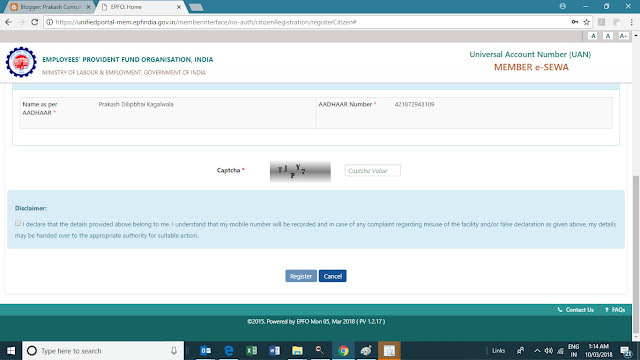 Please keep trying it till your claim process is completed. 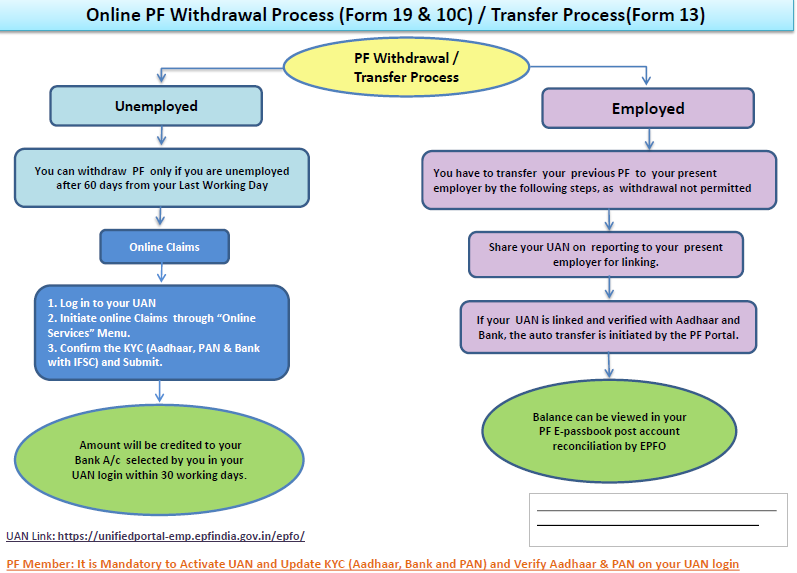 6.You can not claim the PF withdrawal on the portal through online, if you have not completed 60 days of waiting period from your last working day, as per the PF Norms. 7.If, PF Tenure less than 6 months, you can Claim only PF(Form 19), EPS( Form 10C) is not applicable. 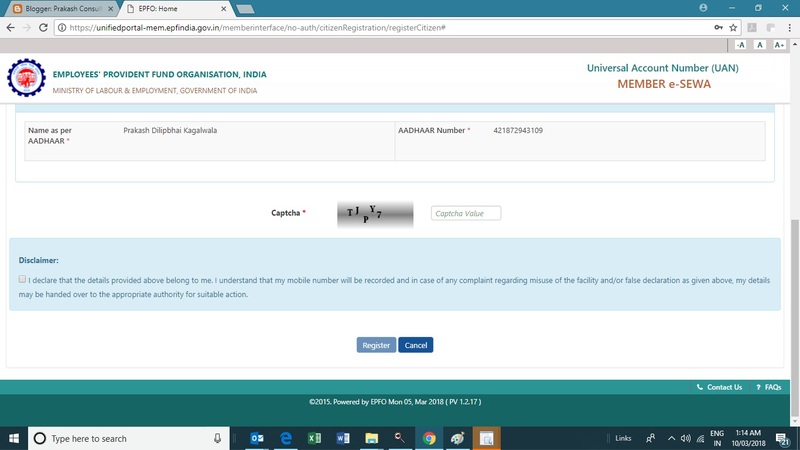 As we all are aware that EPFO has stop entering Enrollment ID for creating the New UAN Number and it becomes very difficult to generate the same through Normal Aadhar Number while inserting in the Employer Portal.